COME AND SEE OUR SHOW! Works using multiple media such as paper, paint, stitch, recycled materials, etc. “Momentum” is the title of the 2018 annual exhibition and sale by the Octarine Artists. 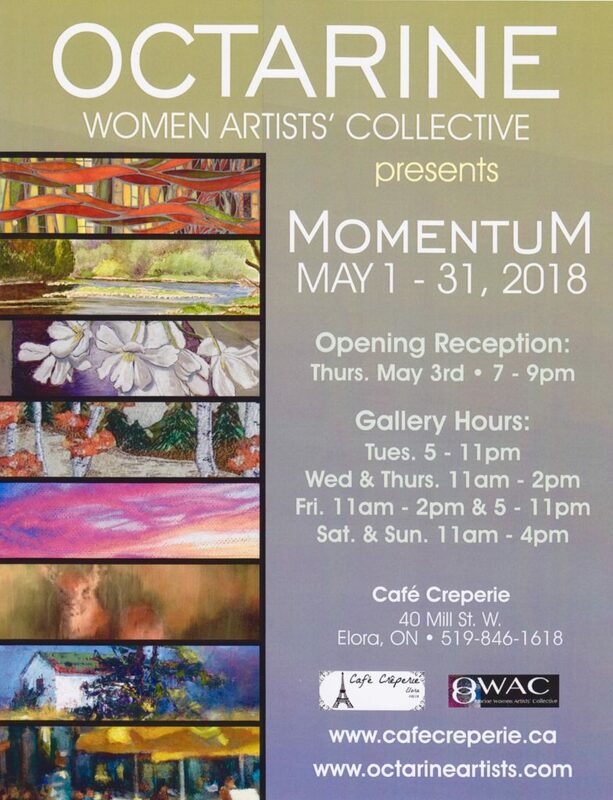 The show takes place from May 1 – 31 at the Cafe Creperie, Elora, Ontario. Participating artists: Judy French, Carol Hughes, Kim Johnston, Jean Loney, Leslie Miles, Gail Root, Anne Smith, Susan Strachan Johnson. …. At the Creativity Centre, La Grange, Texas. 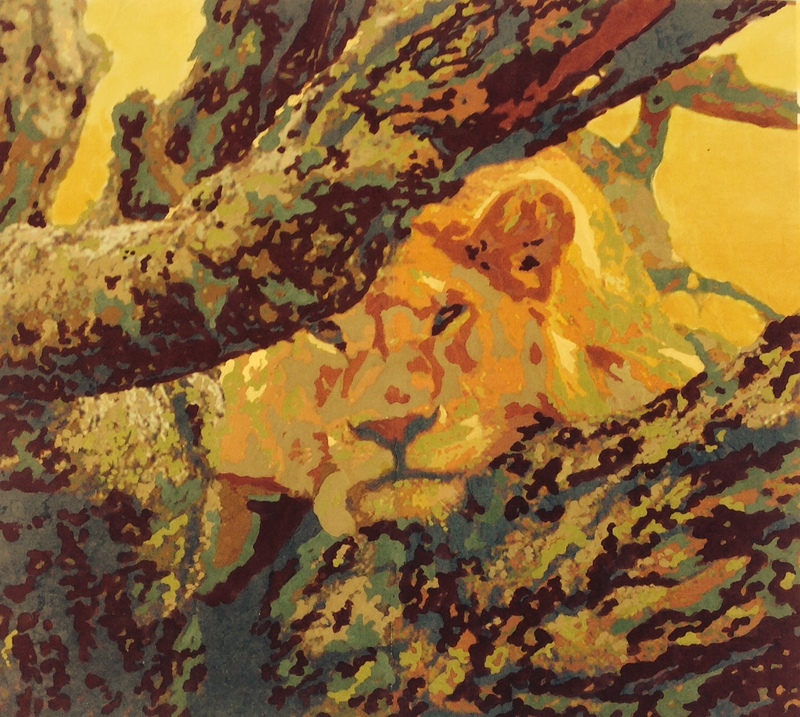 She has been working on painted art quilts for Eight Dimensions, and she will have several works in the same theme: Animals in Camouflage. It’s not finished yet, but here’s a work in process. Don’t miss our show, over the weekend of May 2, 3 and 4, 2014, at Studio 404, 404 York Road, Guelph, Ontario. For more information, call Gail Root at 519 856 4143, or Susan at 519 856 2364. See you there!